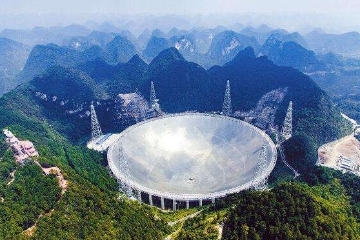 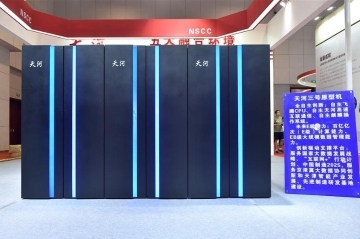 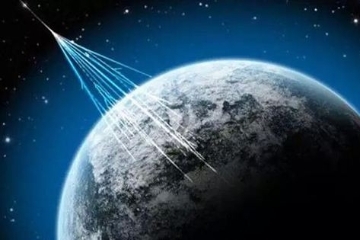 An observatory for detecting cosmic rays in southwest China's Sichuan Province will be semi-functional next year, scientists said Wednesday. 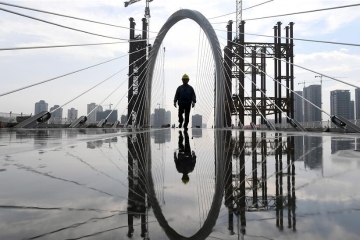 The Yellow River Bridge of the Yuncheng-Lingbao Expressway is under construction in Yuncheng, north China's Shanxi Province, June 19, 2018. 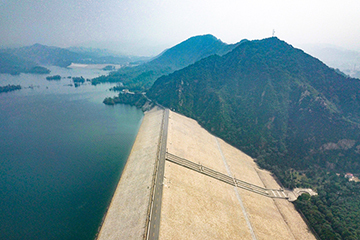 The central route of the South-to-North water diversion project has transferred 15 billion cubic meters of water as of Sunday to 19 cities in China's north along the project, benefiting 53.1 million residents. 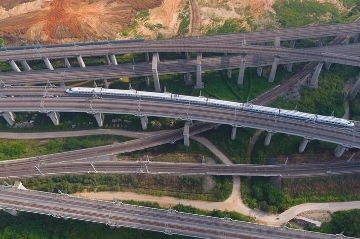 Starting from zero, the total length of operational high-speed rail tracks in Guangxi has hit 1,751 kilometers in the recent five years. 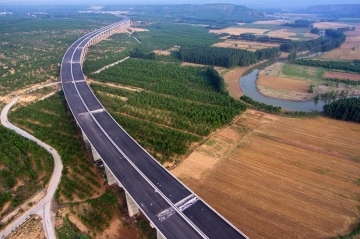 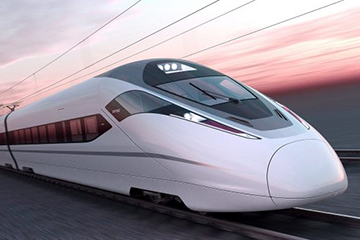 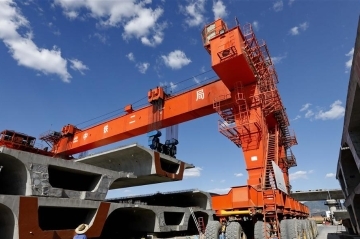 The railway, connecting China's capital Beijing and Zhangjiakou of north China's Hebei Province, is designed at a speed of 350 kilometers per hour and is expected to be put into use at the end of 2019. 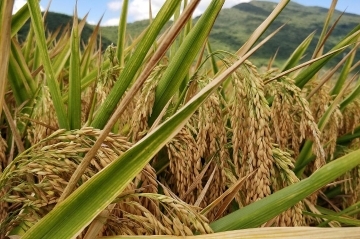 Chinese agricultural scientist Yuan Longping announced Saturday that his team has completed detailed plans for seawater hybrid rice's trial planting and promotion. 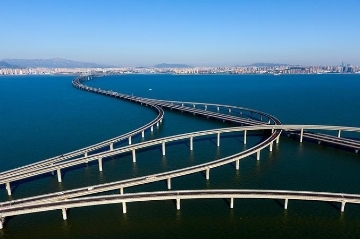 Take a look at the Qingdao Jiaozhou Bay Bridge in east China's Shandong Province through aerial photos. 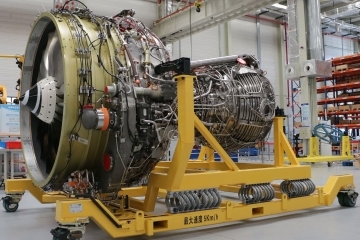 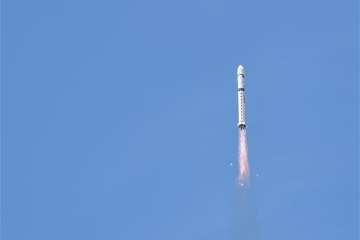 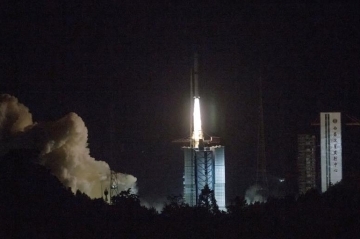 The CAS confirmed that one of its institutes Monday successfully tracked and received imaging data from the newly-launched Earth observation satellite Gaofen-6. 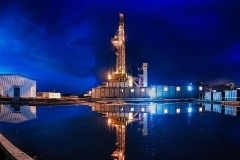 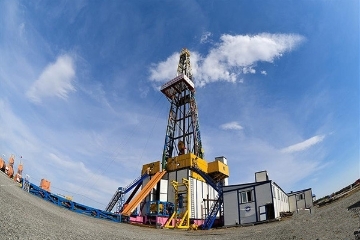 The Crust 1 land-based drilling rig system is seen at night in the Songliao Basin in northeast China, June 1, 2018. 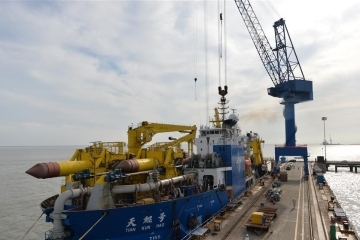 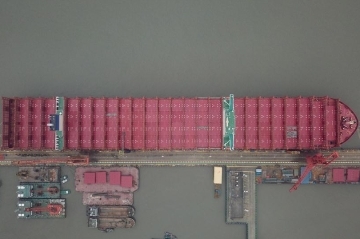 The Shanghai Waigaoqiao Shipbuilding Co., Ltd. has delivered a 20,000-TEU ultra-large container ship (ULCS), the company said. 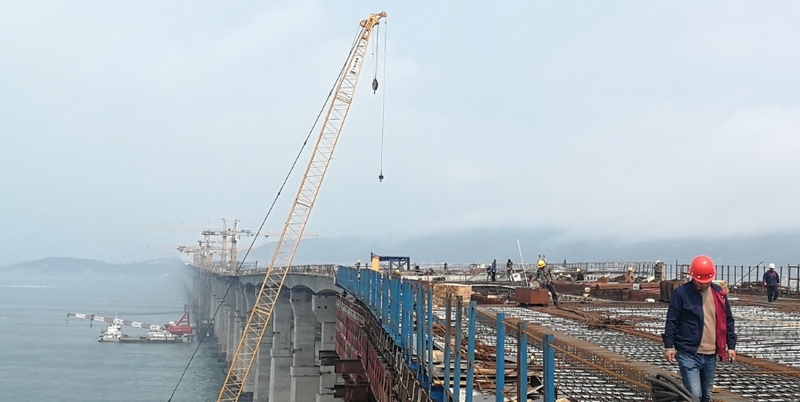 The main structure of the main bridge of Baisha Bridge in Liuzhou was finished on Tuesday. 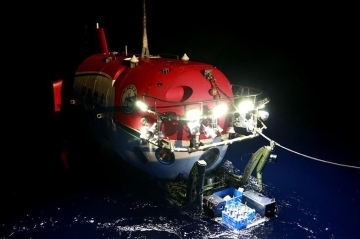 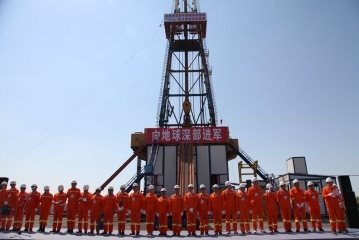 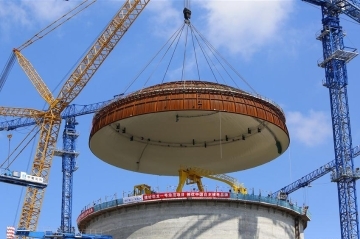 The dome has been installed on a reactor at China's nuclear power project in Fangchenggang using Hualong One technology, a domestically-developed third generation reactor design. 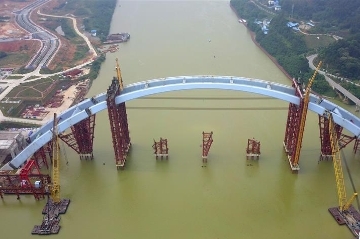 The center arched section of the Guantang Bridge in Liuzhou, Guangxi Zhuang autonomous region, was installed early on Monday morning, the bridge's builder said, calling it the most difficult part of the project. 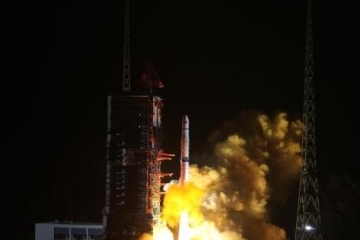 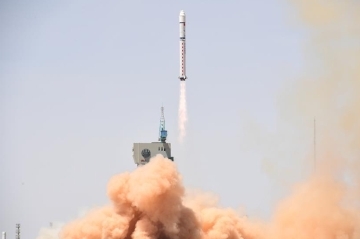 China launched a relay satellite named Queqiao (Magpie Bridge) early Monday to set up a communication link between the Earth and the Moon's far side. 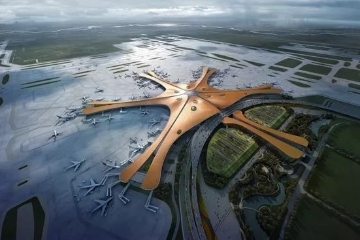 Beijing's new international airport will be completed by the end of the year and meet navigation conditions by September 2019, local authorities said Wednesday. 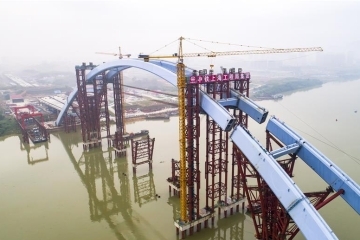 The middle bridge arch, weighing 5,885 metric tons, was successfully hoisted to its installation position on Monday. 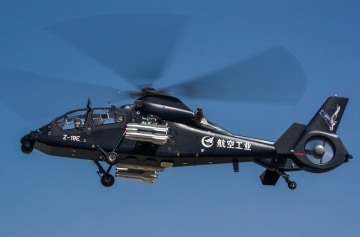 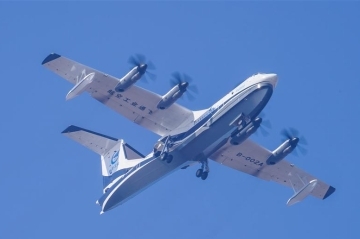 The China-developed AG600 large amphibious aircraft is expected to be delivered to customers by 2022. 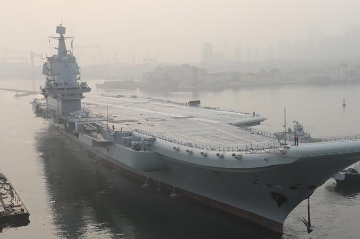 China's first domestically-built aircraft carrier set out from a dock of Dalian Shipyard, northeast China's Liaoning Province, for sea trials Sunday morning.